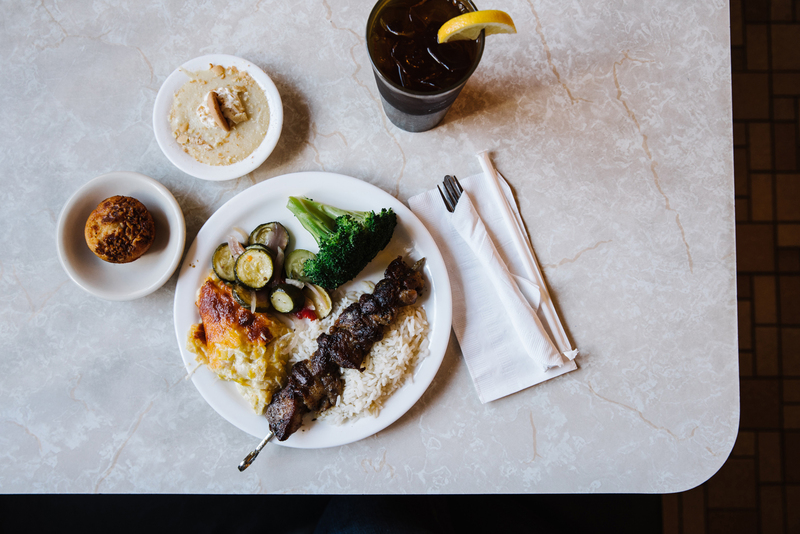 From souvlaki to hot dogs, baklava to snapper throats, and barbecue to meat-and-threes, the South and Greece intertwine in Alabama. In 2004, SFA collected oral histories of Greek restaurant owners who had been feeding Birmingham since the nineteenth century. Their establishments have served as employment centers and immigration draws. 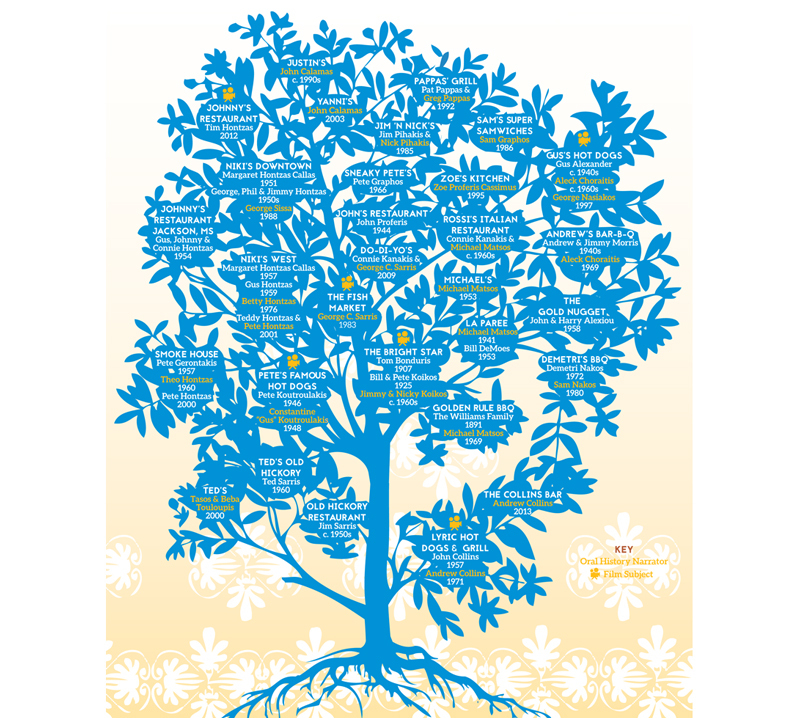 From their progeny, a sprawling Greek family tree has grown. With the help of Eric Velasco, SFA has updated that oral history project, revisiting previous interviews and chronicling the lives of a new generation of Greek restaurateurs now shaping the food culture of the Magic City. Here’s a small taste of the restaurateurs who have defined the city. 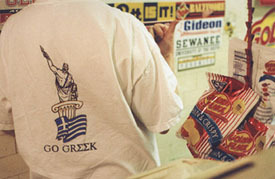 Look for the fully revised and updated Greeks in Birmingham oral history collection to debut on our website soon. 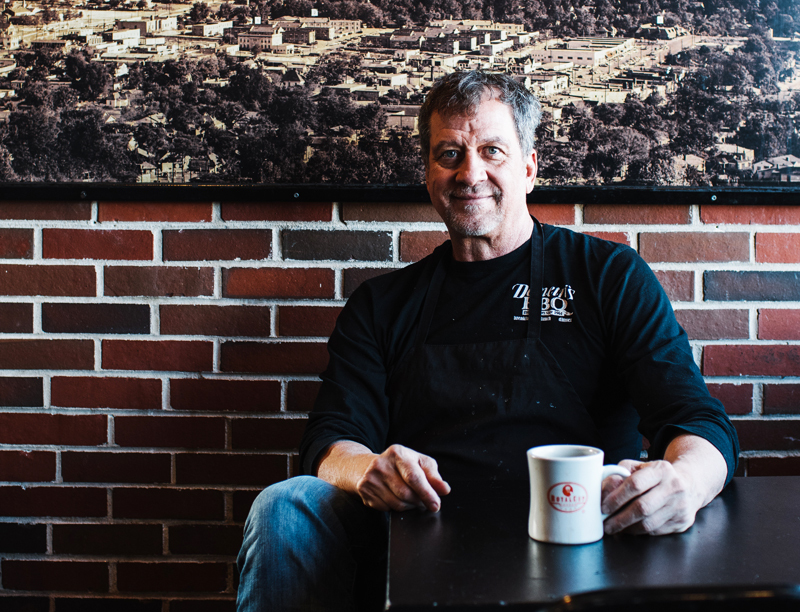 Tim Hontzas descends from the Hontzopoulous family (shortened to Hontzas in the 1950s) who made their mark on meat-and-threes after opening Niki’s Downtown (1951) and Niki’s West (1957). Tim’s grandfather, Johnny Hontzas, established Johnny’s Restaurant in 1954 with his father, Connie, in Jackson, Mississippi. 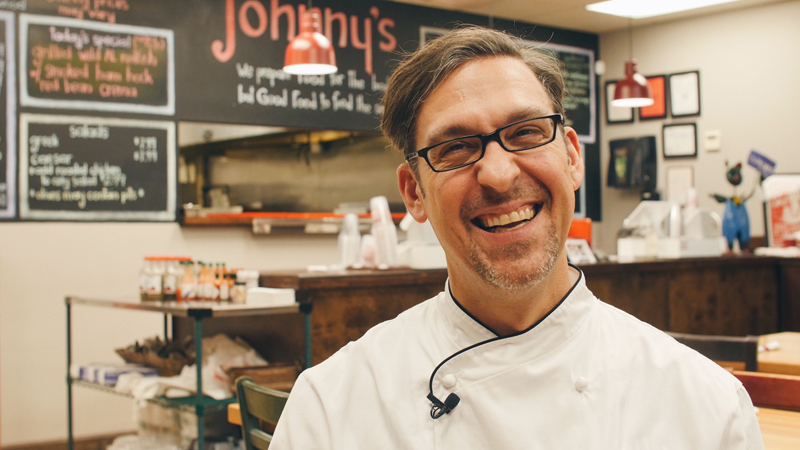 Tim opened Johnny’s in Homewood in 2012. 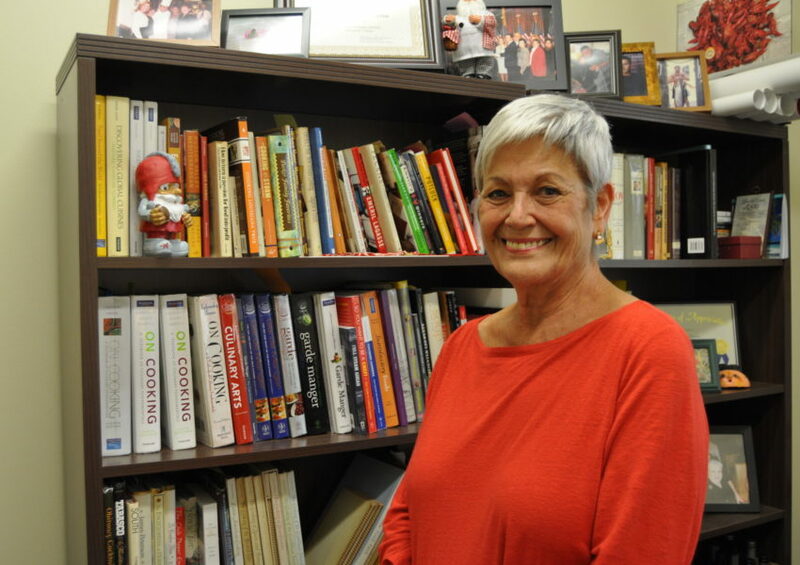 SFA Pihakis Documentary Fellow Ava Lowrey has completed a short film, Johnny’s Greek and Three, focused on Johnny’s. Like all SFA films, it is available on our website. They say at one point in the seventies that if it weren’t for the Greeks, Birmingham would starve. Greeks had a very strong relationship with farmers, because if they weren’t in the produce business, they were in the restaurant business. I think that’s what has inspired meat-and-threes and the Greek influence on that. I’m Greek-Southern and I don’t think I had a choice but to cook. 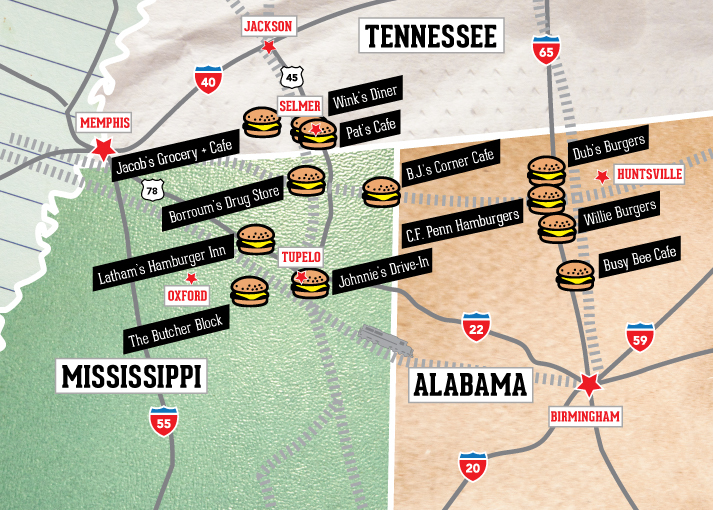 I was always being dragged in and out of kitchens at restaurants in Jackson: The Mayflower, The Elite, Angelo’s. My dad always asked me to come back into the kitchen with him and hear the old men discuss all kinds of crazy things. The name comes from my papou’s restaurant in Jackson. I wanted to do it in homage of him. They said that he was way ahead of his time when he opened Johnny’s, but was very hardheaded and let time pass him. He jumped a cattle boat in 1921 and came to the United States. I’m not sure how many days he was on that boat, but I imagine it was not a friendly journey. He arrived in New Orleans with seventeen dollars in his pocket. He just walked into a kitchen one day and asked if he could start washing dishes. They gave him a shot, and he just worked his way up. The goal was to take a chance on one kid and to send them over and see if they could make a way for themselves. And he was able to do it, which in turn, goes back to how they were able to help bring other people over and how Johnny’s was an outpost. With a little bit of money he opened a small little cafe outside of a train depot in McComb, Mississippi, which was one of the largest in the South. He did well there and then he opened up a place called The Plaza Café. It did well and then he explanted into Johnny’s. Johnny’s Greek and Three, by Ava Lowrey. In 2000, Ted Sarris sold Ted’s to Tasos and Beba Touploupis. Tasos immigrated from Thessaloniki to Alabama for college, where he met Beba, who was born in the Bahamas to Greek parents from Kalymos who worked in the sponge industry. Under the guidance of “Mr. Ted,” they’ve made the place their own, holding on to some traditions since the restaurant opened in 1960, and making new efforts to capture newer generations in a changing Birmingham with dishes like chicken Bahama, stir-fried with red bell peppers and onions. 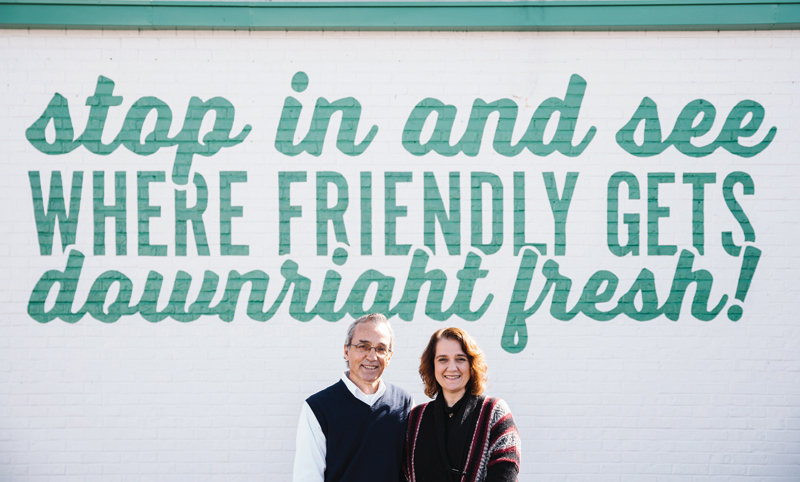 Explore the SFA’s “Greek Restaurateurs in Birmingham” oral history project. Tasos Touloupis: When I came over here, I got involved with Alabama football. I fell in love with the culture. I graduated in 1983 with a bachelor’s of science in aerospace engineering, and right now I’m making collard greens. It takes a rocket scientist to do that, you know. Beba Touloupis: Tasos came here for his education, I came for my education, and want to do better, and we have. We’ve worked. We’ve put our kids in great schools. They’re first-generation Americans, and they will, hopefully, hope [for even better]. TT: Mr. Ted didn’t have any buyers. And what he wanted was to find a Greek who will appreciate his recipes, who will continue the tradition, and he fell in love with me and my attitude of, “I’m not going to change anything. I want exactly the same recipes.” I fell in love immediately with the atmosphere. It was a very well-oiled machine… Anybody who comes in this country and has one vision to work hard, to raise the family, and make money, I guarantee you he will do that. And Mr. Ted did it all by himself with limited education. BT: We have customers here that Mr. Ted had as customers, and part of our challenge is, we do having an aging population and we have a group of millennials out there who don’t even know what a meat-and-three is. 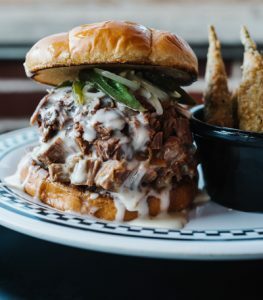 For us to continue being relevant as Birmingham is growing, we have to grow the customer base… We didn’t know what Birmingham was until we had Ted’s. We got to experience Birmingham. 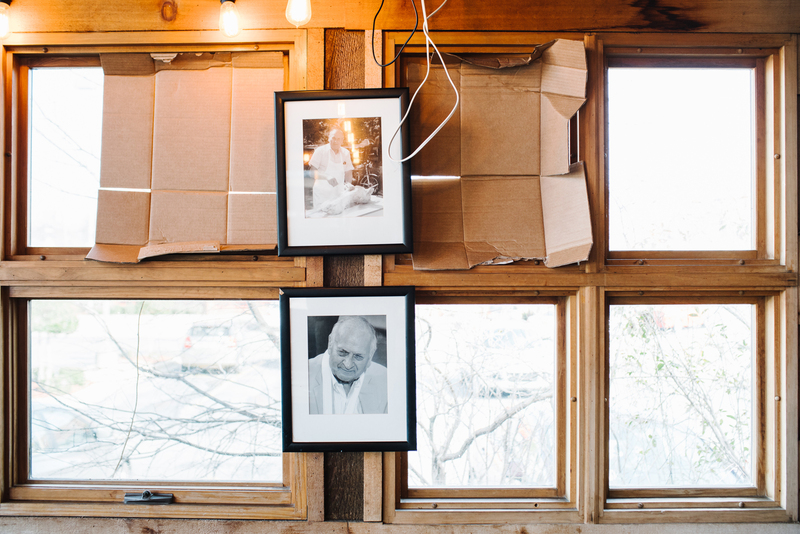 Photos of Ted's restaurant by Andrew Thomas Lee. Demetri Nakos arrived in Birmingham from the island of Corfu, Greece in 1955. He worked for an uncle who ran Oakland Barbecue, feeding Ensley steelworkers on the city’s west side. With a business partner he opened El Rancho in 1961 in Homewood. Eleven years later he opened his namesake restaurant in the same neighborhood. Nakos passed away in 2002. His son Sam Nakos continues to carry on his father’s legacy, always hiring Greek pitmasters. Photo by Andrew Thomas Lee. Greeks barbecue lamb in Greece, so barbecue is not unusual in Greece. They cook over open charcoal or open wood, but here it’s a hickory flavored smoke thing. You’re never going to find a restaurant in Greece that has smoked meat. It’s not part of their traditional cuisine. So dad learned the smoke process. My dad called me up when I was eight years old when his dishwasher didn’t show up. My mother would bring me down here, and I’d be crying the whole way but I came. I was nineteen when I finally clocked in and never went back to college. I’d make the pies, and then when the meat cutter went on vacation I cut meat. And if anybody was sick I cooked. After all those years you learn how to flip the ribs and you start to get a feel for it. A lot of it’s feel. My dad was a great cook. We would cook things together back here. In Greece they know good food. I think God gave Greeks a palate and I think he also gave them a very hard work ethic and these guys from other countries when they come over to America and they see opportunities they snag it and they’re dedicated. They come over and they know how to cook. When you get in the restaurant business it’s like being in a boxing ring. It’s serious. And Greeks are willing to do it. They’re high strung and they have tons of energy and they’re willing to put up with all the other things that go along with the restaurant business and survive in it because they’re dedicated. They don’t get defeated very easily. Visit the SFA’s oral history archive for more voices from across the South. 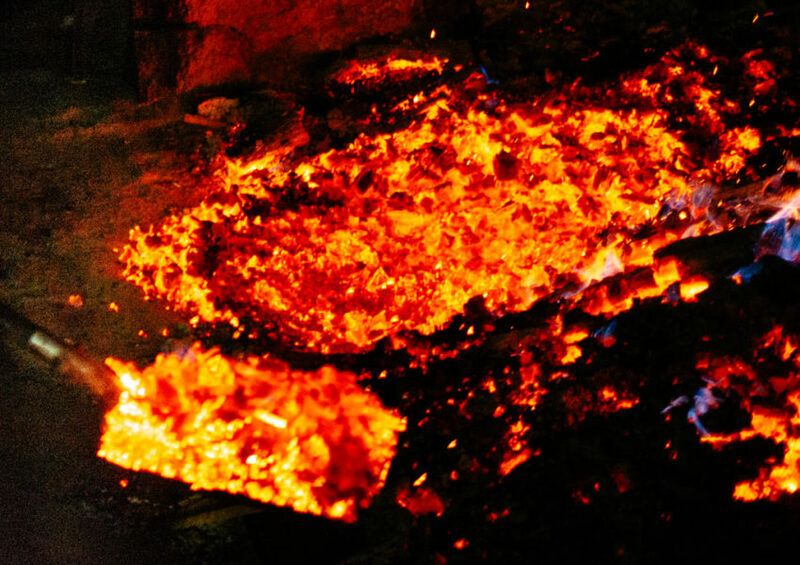 Ricky Parker, like his barbecue, contained multitudes. SFA Oral Historian Annemarie Anderson shares field notes from her recent interviews with Marcelle Bienvenu.